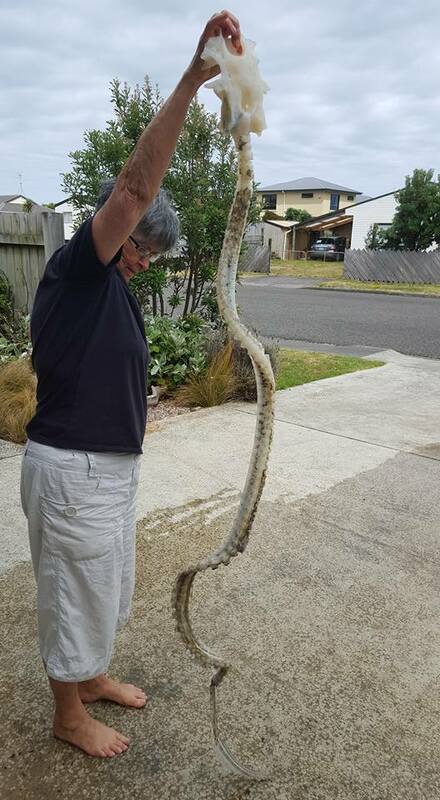 When photos of a strange "sea serpent" emerged from New Zealand recently, they sent the internet into a bit of a spin. 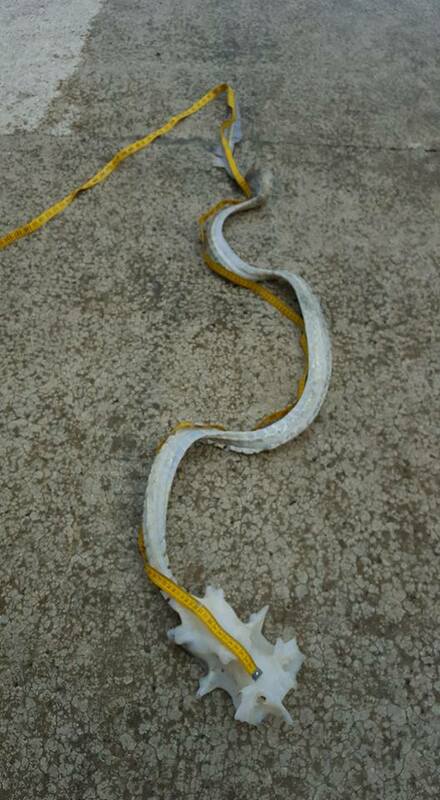 Found on Waiterere beach by local Maria Lombard, the creature was thought to be some kind of eel – but in reality, this animal is more relic than real. 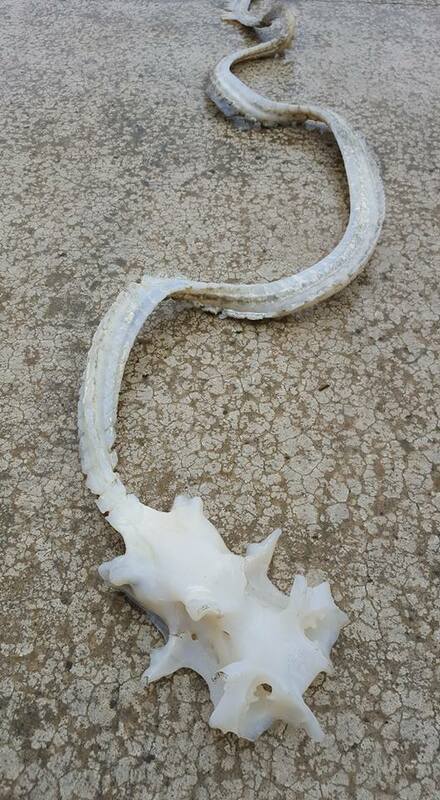 What you're looking at is the partial skeleton of a New Zealand smooth skate (Dipturus innominatus). The ID was made by staff at the Te Papa Museum, who were contacted by Lombard after the discovery. 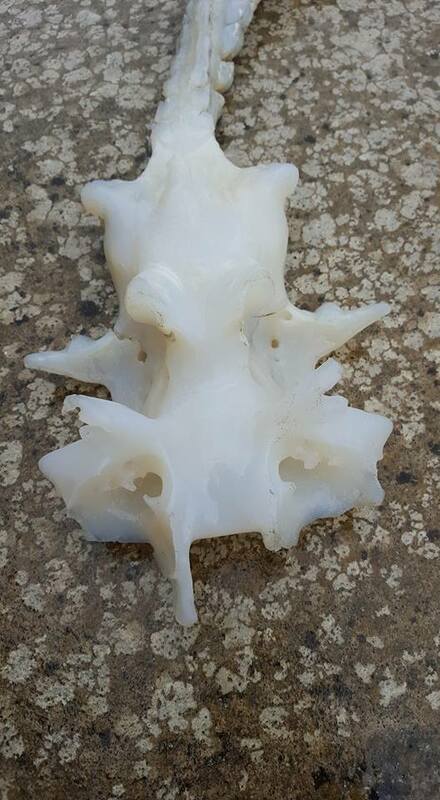 Connected to the vertebral column is the flipped braincase – those two curly openings are the olfactory (smelling) regions. 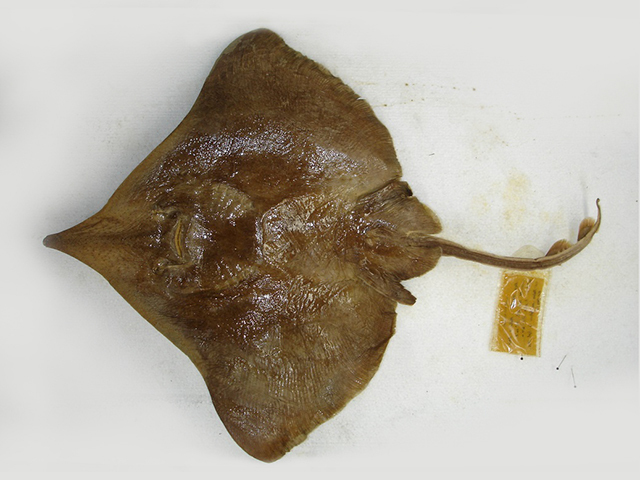 Skates have no bones, just like their relatives, the sharks and rays. Instead, the skeleton is made of cartilage (which explains the smooth texture and milky colouration of Lombard's find). 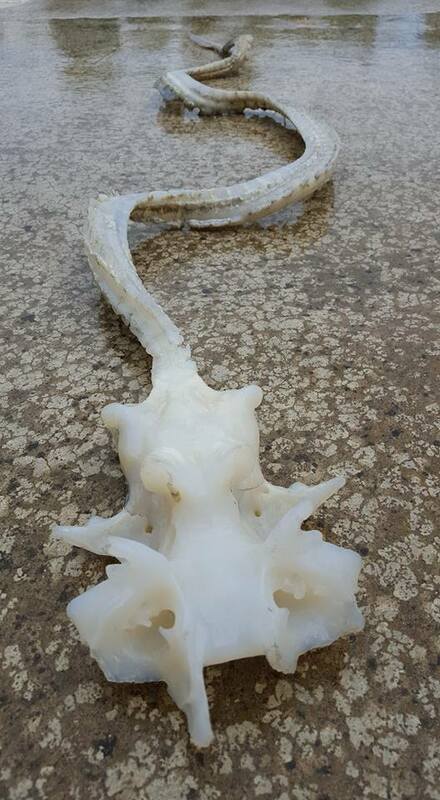 While most smooth skates reach only a few feet from nose to tail, those endemic to NZ waters have been known to grow as long as seven feet (2.4 m). Judging by the size of the vertebral column, we can estimate that this specimen was an adult, and likely very old. These fish live somewhere between 20 and 30 years, and don't reach sexual maturity for 13!